There’s nothing quite like a Chevy. Whether you drive a Chevrolet sedan, truck or SUV, one of the most recognizable American brands on the market ensures you’re always in good hands – and at Jerry Lambert Automotive, we want to do the same thing when it comes to providing the important service and maintenance your Chevy needs. Chevrolet boasts one of the widest catalogues of any car-maker in the world. 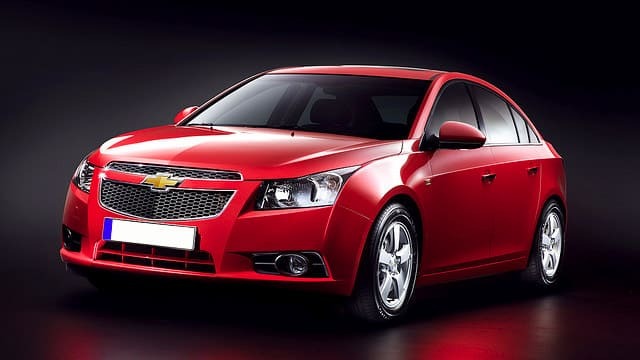 The Spark, Cruze, Sonic, Volt, Malibu, Impala, SS, Camaro, Equinox, Traverse and the ever-recognizable Corvette are just some of their many models available, and our Jerry Lambert technicians are experienced with each and every one of them. There’s no model of Chevy we haven’t worked on, and no related issue that could possibly flummox our techs. With humble roots as a full-service gas station, Jerry Lambert Automotive has been providing high-quality care for Chevys and other vehicles on the road since 1959. We’re proud to be part of the second generation maintaining this business, carrying on a tradition of bringing only the finest services and products to our clients. We may be an old company, but our technicians are anything but old-fashioned when it comes to your Chevy. All our employees are ASE-certified, plus up to date on cutting edge technology in our shop and all the latest trends in the automotive world. We’re centrally located on 3300 South in Salt Lake City, a location that makes it simple for residents of surrounding areas like Draper, West Jordan, Riverton and West Valley to enjoy our services. If you need reliable, transparent service for your Chevrolet vehicle, come to our location or call our professional technicians at Jerry Lambert Automotive today.